"Without financing from the New Business Development Revolving Fund, I don't know where my business would have been standing. Through a loan from the fund I have managed to turn my business into a thriving enterprise. I am able to make a gross profit of up to UD$2 500 a month and have managed to transform my standards of living through building a residential home. This is the success story of one Thabolwethu Mudota on how her life was transformed by a fund provided by the City of Masvingo in partnership with their German twin city, Kernen. Mother Theresa once said, "Kind deeds can be small and easy to note but their echoes are truly endless." Those words capture the benefits Masvingo has derived from simple exchange of ideas and resource mobilisation with the City of Kernen since the 1990s. Among the welfare and poverty alleviation programmes run by Masvingo in partnership with the New Business Development Revolving Fund and Kernen is the upkeep of Mucheke Old People's Home, Alpha Cottages, which has uplifted the lives of many locals. 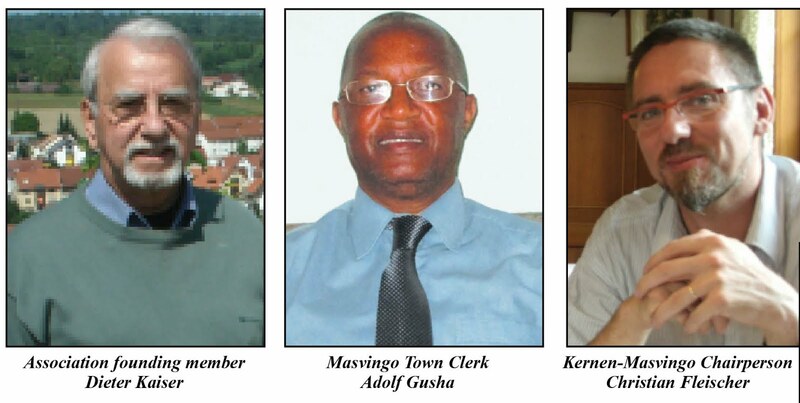 City of Masvingo Town Clerk Adolf Gusha says the twinning has resulted in improved service delivery, infrastructure development and financial assistance. "One of the things in the binding protocol between the two cities is the sharing of ideas in service delivery, participation and involvement in city business. Basically, the exchange of ideas between the two cities has seen considerable development taking place. "Kernen has supported us a lot through, among other things, the donation of a refuse truck, the construction of the city's sole craft centre, construction of several structures at Mucheke Old People's Home and Alpha Cottages. These include a dining hall, kitchen and borehole. The construction of Runyararo Clinic was also financed by donations from Kernen," Gusha said. In other areas of further cooperation, council is set to receive a used refuse compactor. "…the City of Kernen indicated that they would look for a second hand refuse compactor to be donated to the City of Masvingo. It was reported that the cost of transporting the vehicle would be met by the City of Masvingo," read part of recent council minutes. "…the Masvingo-Kernen Association indicated that they were sourcing funding for the construction of Runyararo Clinic Maternity Wing. It was reported that the Association intended to fund half of the construction work for the maternity wing," the minute read. Meanwhile Mayor Hubert Fidze and Ward 10 councilor Lovemore Mufamba recently volunteered to be fire fighters after the Town Clerk's report on their visit to Germany noted that Kernen Fire Brigade had 55 volunteers.